This replacement battery is brand new and comes with a one year warranty.Take good care of your Suzuki motorcycle by ensuring you only get the best quality lead acid batteries. Dimensions: 2.8'' long, 2.8'' deep and 3.78'' tall. 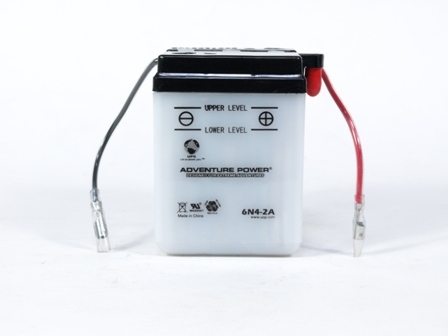 Conventional SLA batteries, also called Valve Regulated Lead Acid (VLRA), contain electrolyte fluid that should be refilled periodically. This battery inludes an acid pack and everything you need to replace your old battery. After filling the core, you'll need to charge the battery overnight before installing.